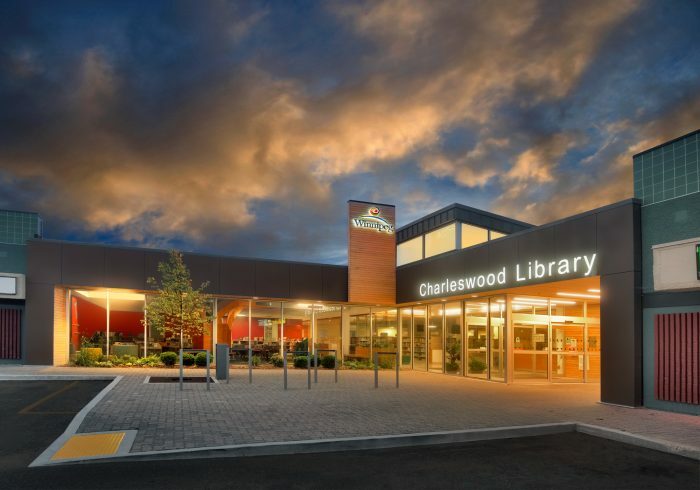 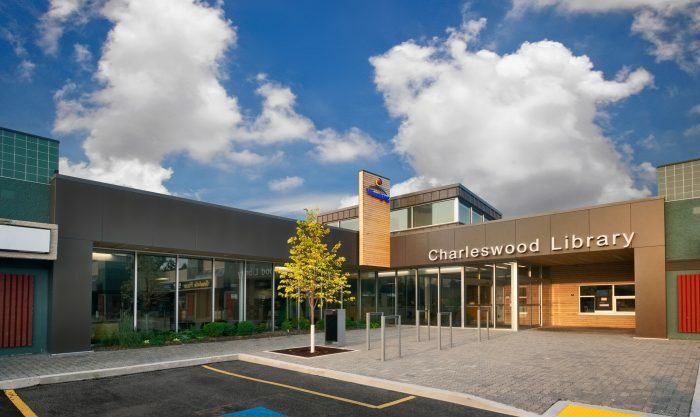 The Charleswood Library is a study in transformation; it reimagines a non-descript retail space within an established neighborhood, altering the way the Municipality sees library conceptualization in the future, all while re-inventing itself as a vibrant and open community resource. 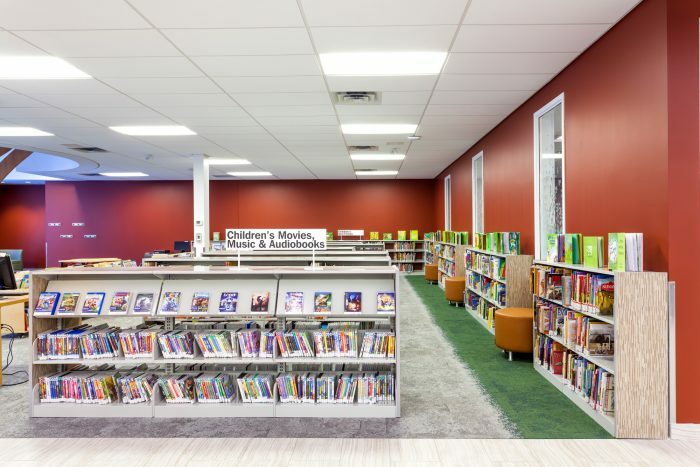 The library moves away from its traditional role as book repository to become the neighborhood’s living room. 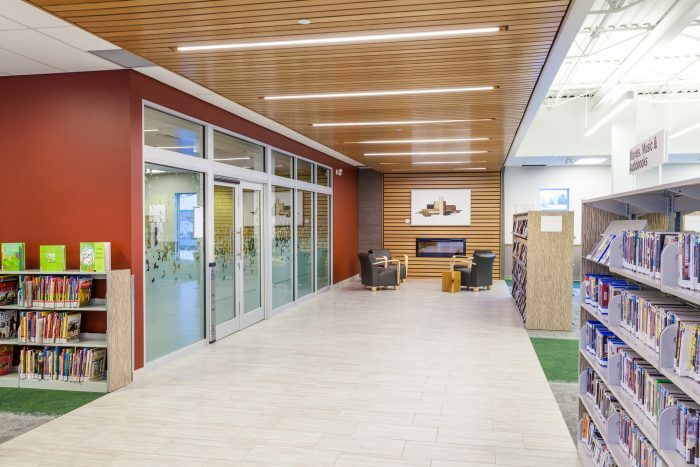 The design of the renovation is organized around an internal passageway defined by a suspended wood ceiling and tiled floor, continuing the entire length of the building to terminate at a fireside lounge. 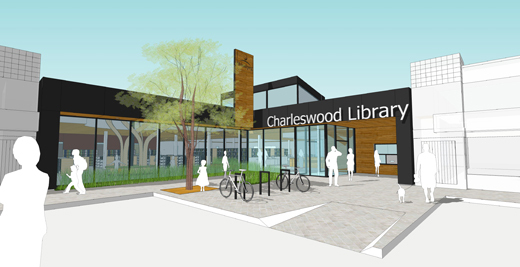 A front entry addition with a centrally located plaza defines the new entrance within an existing square. 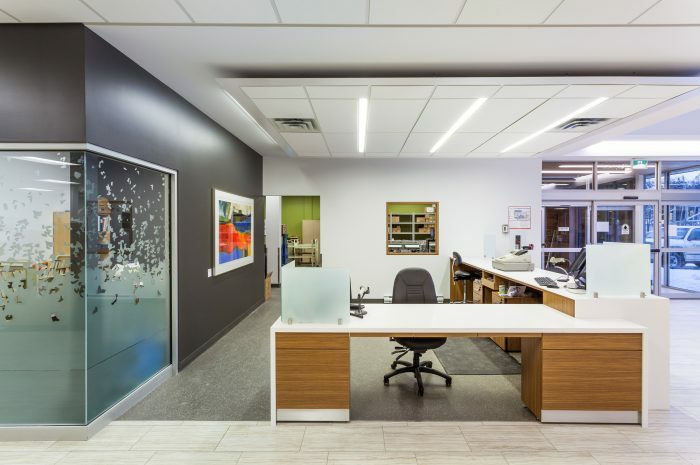 Detailing and materiality is consistently rendered, tying together exterior expression with interior finishes and furniture. 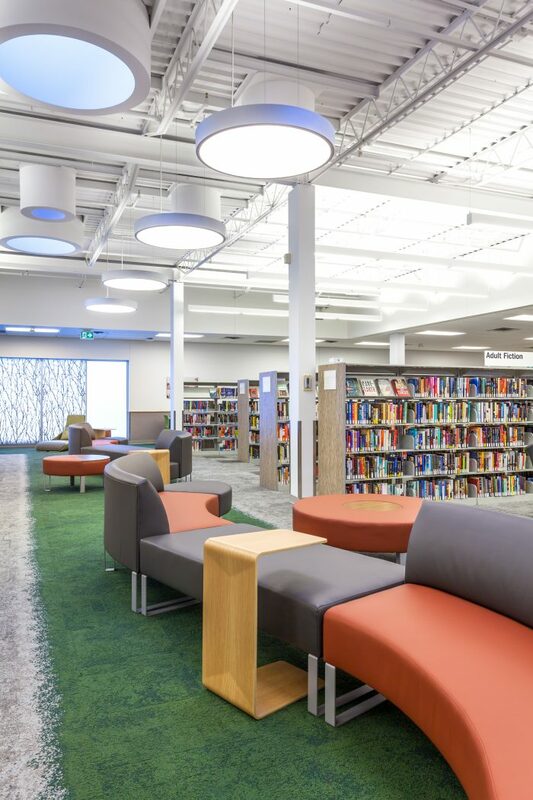 Quiet alcoves and group seating punctuate a variety of functions and experiences; places to read, community resources like tutorial and MPR spaces, adult and teen collections, all with ample access to natural daylight and views. 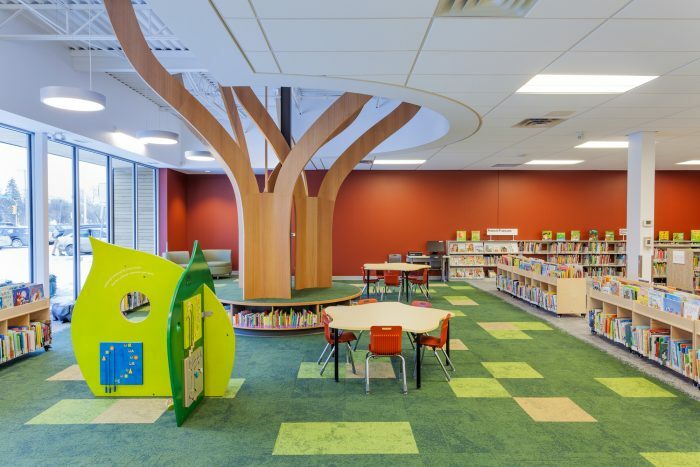 Framed by the central spine and an exterior plaza is the Children’s Area, a dynamic and interactive space for kids with strong visual connections both internally and externally. 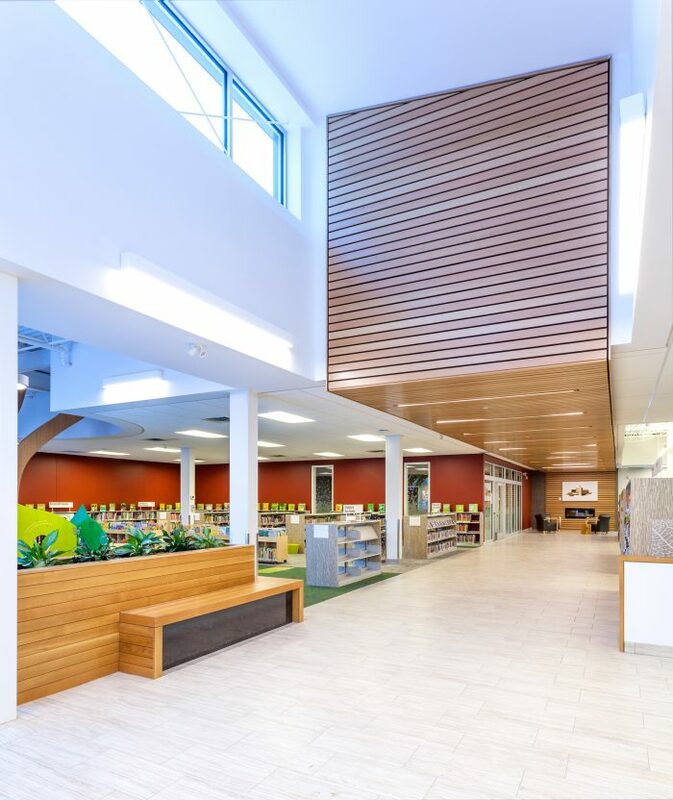 Previous incarnations of civically operated libraries were often thought of as little more than a repository for books, a place of quiet introspection, introverted and staid. 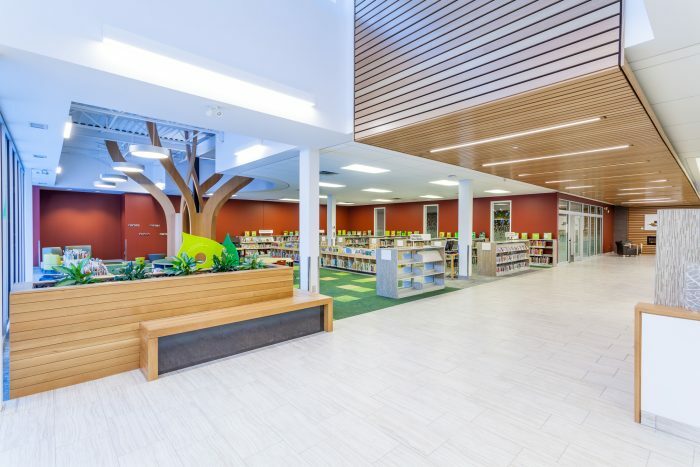 This project inverts that notion, providing instead a space that is representative of its position as a much needed – and much loved – community resource: public, inclusive, multi-faceted, and vibrant.